A main road in Bexhill has been reopened after a road traffic collision this morning (Tuesday, June 26), according to traffic reports. 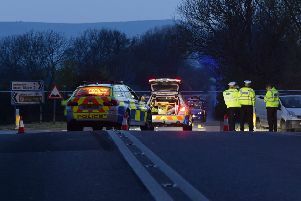 The collision was reported to have happened on the A259 Barnhorn Road close to Customs Cafe. It caused a partial blockage both ways at Coneyburrow Lane, Bexhill. Emergency services were at the scene and an eyewitness said there were long tailbacks in both directions on the approach to the collision. The A259 Barnhorn Road was also closed both ways between B2095 Hooe Road and Coneyburrow Lane following a multi-vehicle collision on Monday morning (June 25).